In his occassional series, company manager Edison explores the re-purposing of materials and decorative details in interior design. Both architecture and interior design has become ever more inventive. Similar to the fashion world, the ‘in thing’ is often a reinterpretation or reinvention of something previous. The constant cycle in gentle rotation, helps keep things alive, fresh and inventive for the present day to enjoy, either with fresh eyes or with the fondness of familiarity. 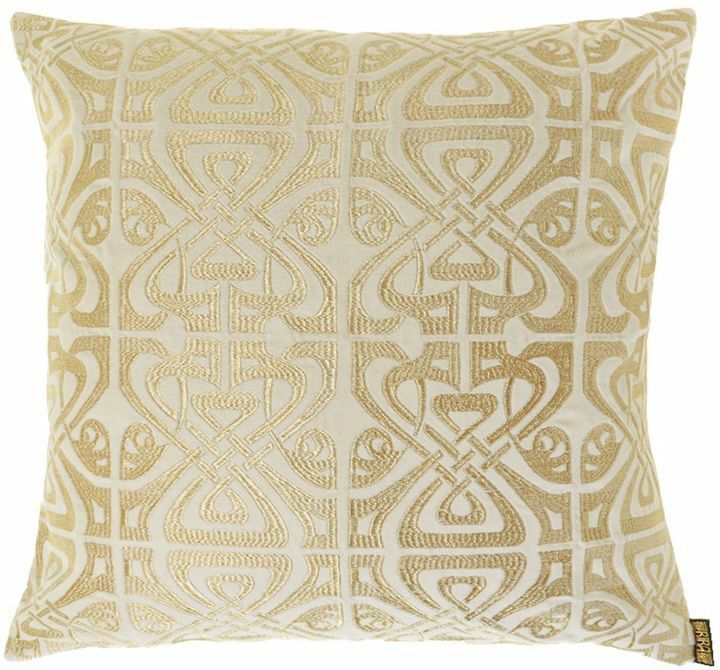 Think Biba, the ‘it’ label of the sixties and now a reinvented fashion and homeware brand. It’s adapted and made relevant to today’s style and trends. However, reinvention is nothing new. But what is more interesting is not necessarily the recycling of styles but the uses of materials and objects within the context of the modern building, home and space. With Deirdre’s new collection ‘Walking on Art’, I couldn’t help but think how appropriate the title was, particularly when reflecting on the time when carpets were not only found on floors, but were used as actual wall coverings. 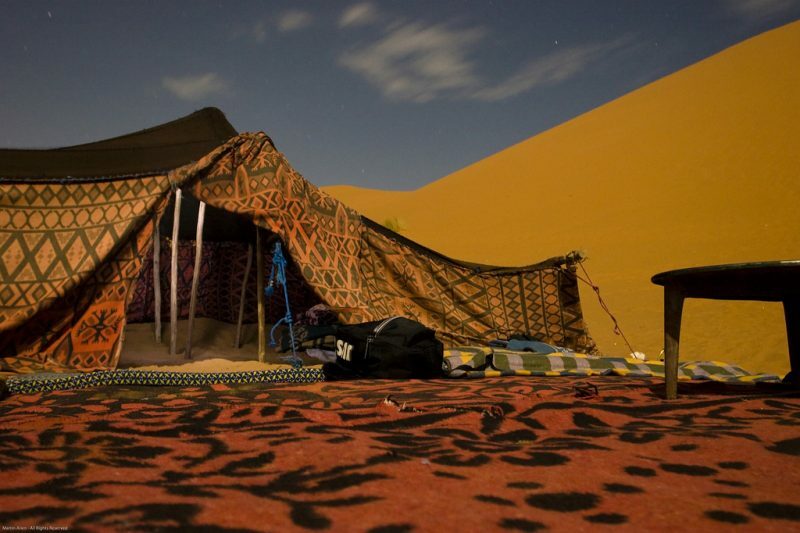 Tapestries and woven carpets adorned both castle and Bedouin tent for decorative and above all practical reasons of warmth and insulation. But adaptation and alternative use of materials and objects within the home has been around for far longer than we might care to remember. Eileen Grey was a pioneer in her own right. Back in the late 1920’s/early 1930’s, she was adopting cork for use in her furniture designs which, up until then, was mainly used for bottle tops and shoe manufacture. And today, cork is becoming the architects choice, for being both a natural and environmentally friendly product as well as a durable, building material. Portuguese architect, Jose Carlos Cruz has used cork to clad this hotel in the Portuguese region of the Alentejo. Cork has not merely restricted itself to architecture and furniture but has become one of the latest textiles within high fashion. Alexander McQueen’s AW2015 has taken thin layers of treated cork and coated it with silver foil to create an exciting range of youthful clothing. 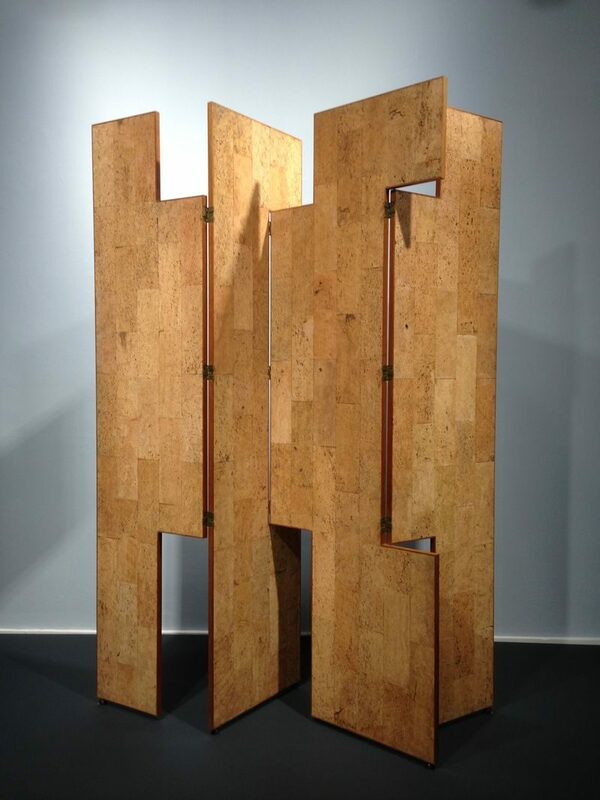 Adapting finishes and materials can often lead to exciting and dramatic effect. You don’t have to take it to extremes. 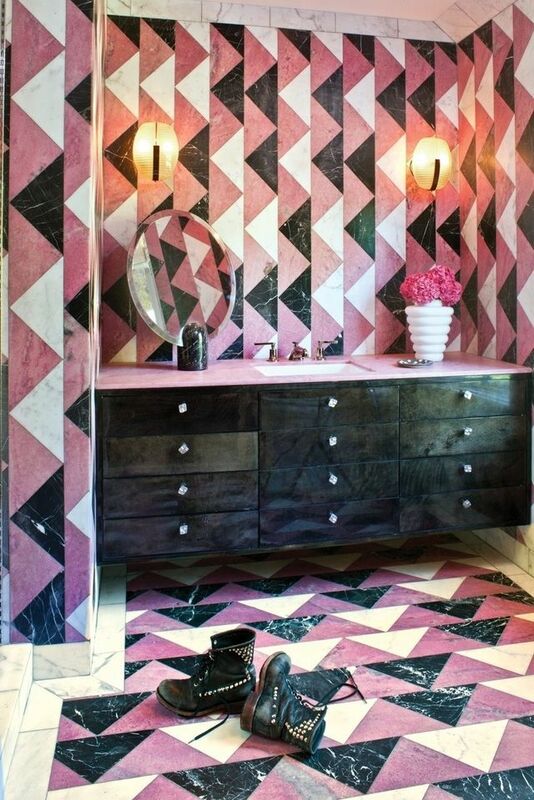 This bathroom by Kelly Wearstler uses contrasting marble, taking the same pattern of the floor to the walls. The result is both unique and eye catching… like a piece of art.